This November, we invite you to collect food parcels and support your local soup kitchen or homeless shelter. Fill a shoe-box or communal cardboard box with essential items for those who are homeless or living in poverty this winter. Find your local Fine & Country office here and work together to fill as many boxes as you can. Collect an item a day from 1st-30th November. Your local Fine & Country office will deliver the food parcel on 1st December to your chosen soup kitchen or homeless shelter. Find your local foodbank here. Some foodbanks also provide essential non-food items such as toiletries and hygiene products. 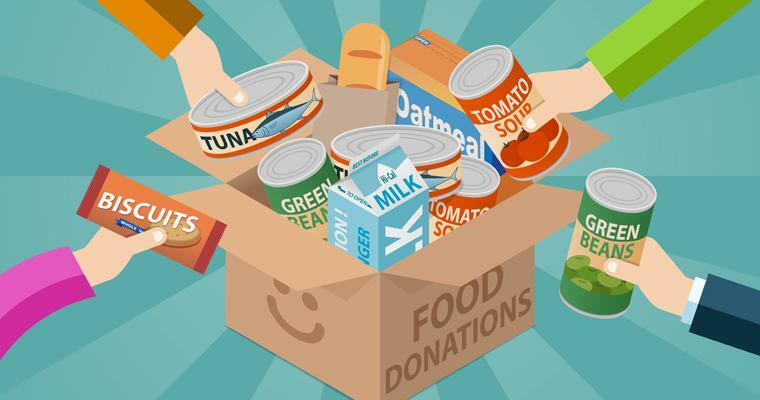 Contact your local foodbank before you begin collecting for your food parcel or non-food items to find out which items they are currently in need of. Send us photos and messages about your parcels via email, Facebook or Twitter. Homelessness in the UK has risen to a staggering extent in recent years and with the approach of a perilously cold winter ahead, food parcels and essential items could, quite literally, be lifesaving for thousands of people. Newspapers have reported the increase of homeless deaths in the UK. Watch this Channel 4 report here. Sadly, more and more homeless people are dying on the streets in the UK. Last winter saw at least 78 people passing away (Source: The Guardian). Food parcels and essential non-food items provide individuals with the necessary nutrients and hygiene products to fight off a number of illnesses and infections, even for a short time until they can find a more permanent solution. Parcels are easy to create: add one item a day throughout November. If you are stuck for ideas, your local homeless shelter or food bank will be on-hand to tell you which items they are in short supply of, from sleeping bags to tinned peaches. If you have any questions, please contact foundation@fineandcountry.com or call +44 (0)20 3368 8221.